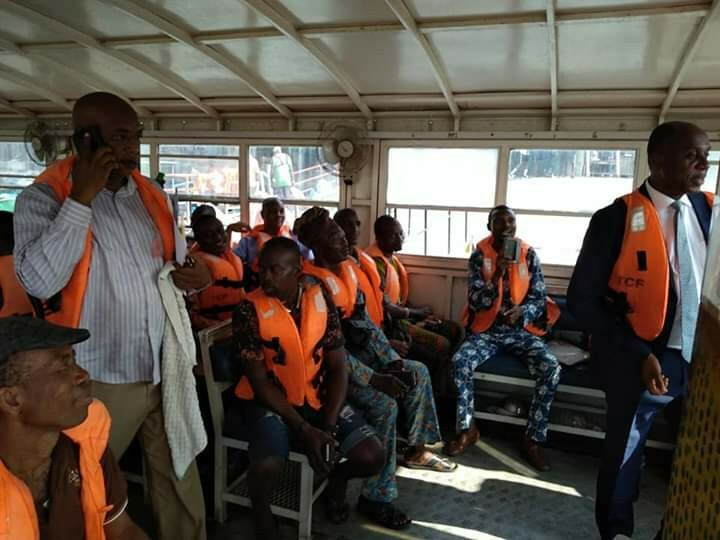 Rotimi Amaechi Interacts With Passengers in a commercial boat at CMS - AutoReportNG "AutoReportNG-The No 1 Car Blog In Nigeria That You Can Trust - AutoReportNG"
Nigeria's Minister of Transportation, Mr. Chibuike Rotimi Amaechi was seen interacting with passengers in a commercial boat at CMS terminal en route Apapa for Federal Ministry of Transportation Management meeting in Lagos. 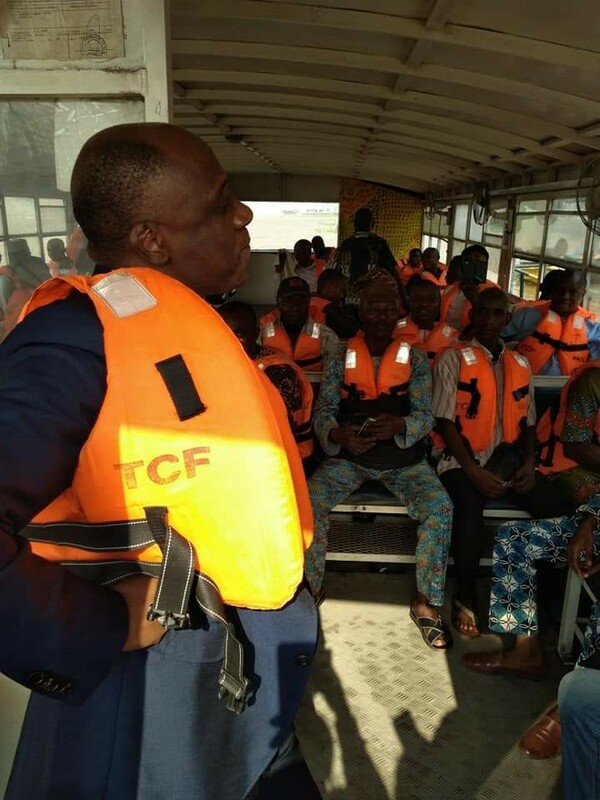 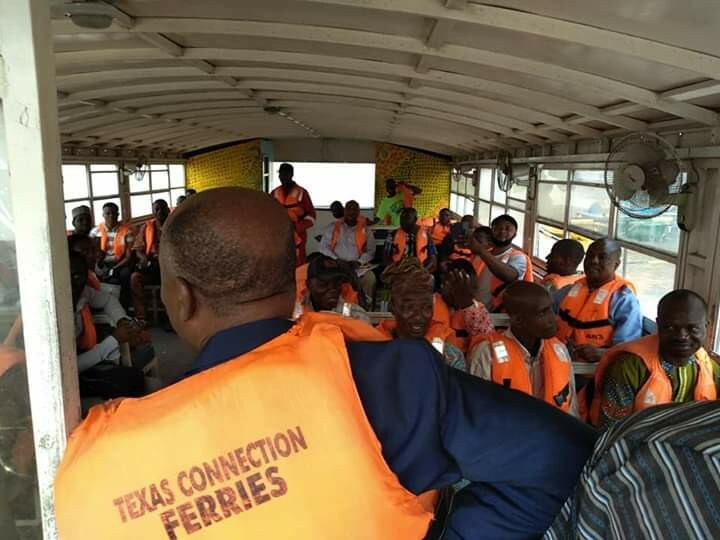 Mr, Amaechi was in Apapa over the weekend to inspect the passage of the railway which will cut across from the sea-port to other locations across the state. 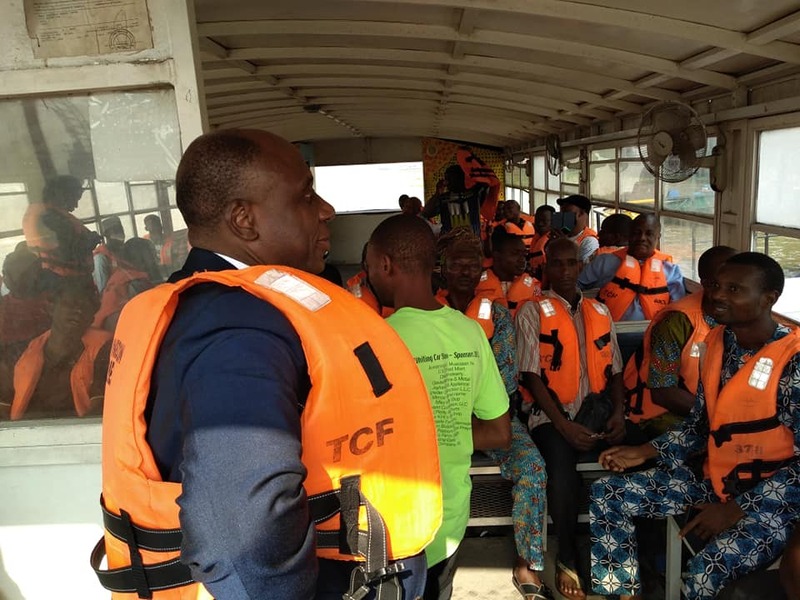 The reason why he decided to take a boat and not car may likely be the heavy traffic that is associated with the Apapa-Wharf road all thanks to the trailers and tankers around this route.